You have a chance of winning a sample trio of doTERRA Wild Orange, Citrus Bliss and Elevation essential oils! To enter the Kentucky Derby Facebook Contest, visit the Living My Essential Life Facebook page and look for the contest post. 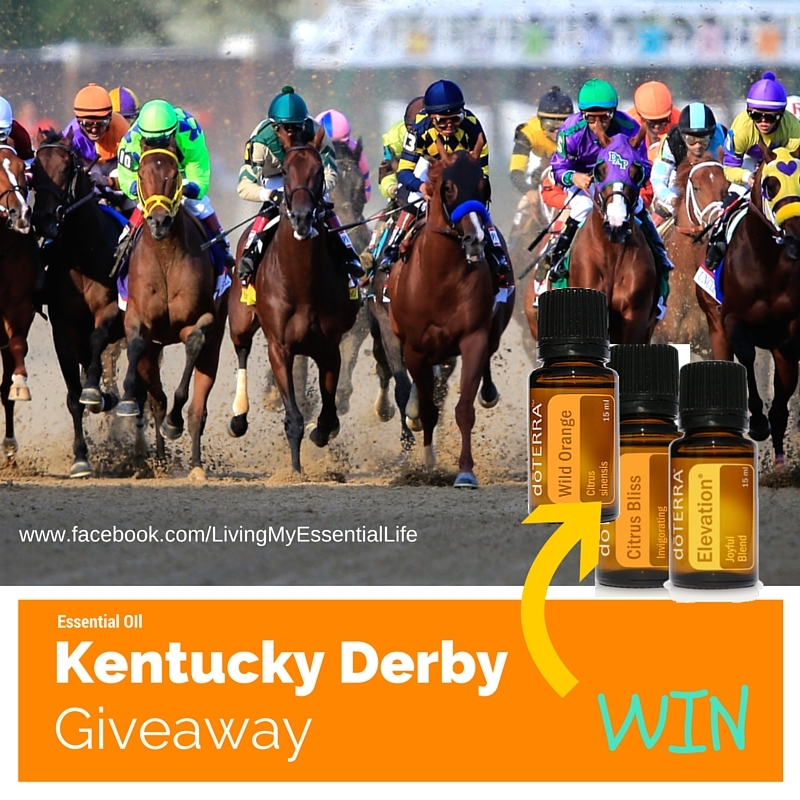 Everyone who chooses the correct winning horse, without edits in their post, will be in the running for a sample trio of doTERRA Wild Orange, Citrus Bliss and Elevation essential oils. *Comments accepted from Friday, May 6, 2016 through Noon Central on Saturday, May 7, 2016. One winner will be announced by May 11, 2016. Winner chosen at random using an online random picker app. Current wellness advocates are not eligible to win, unless unrolled under me.